Each year April comes and we all start to think of the glorious summer days that lie ahead. We have known that spring was not far away since the first daffodil showed its flower. Grass is growing and buds are thinking of bursting into new leaf. With the passing of time hardly anything changes in nature, so unlike the town of Rye I once knew. In the countryside the plants stay put and their flower and foliage never change. Rye alters every year. In the last 60 years, the period I remember well, the landscape has altered dramatically. Coming into Rye via New Winchelsea Road, the first change is a large garage, that once perched on the right next to the Harbour Road, has gone and been replaced by a two tier row of flats. On the left, a scrap-yard that once occupied the ground around the Martello Tower has been replaced by more houses. Beyond the Harbour Road junction the railway lines, that led to Rye Harbour, with their red and white gates have been removed. Now, in this last year, Rye Harbour old tin shed, where my trawler was built, is no longer. On the left, a piece of low ground that had just one bungalow on it, has been turned into a housing complex. Further along the Rye Model Laundry has been replaced by the Riverhaven Hotel and the Coal Yard has been turned into a car park. Crossing the river the boats can no longer be seen as a high wall has been constructed to contain the flood tides. 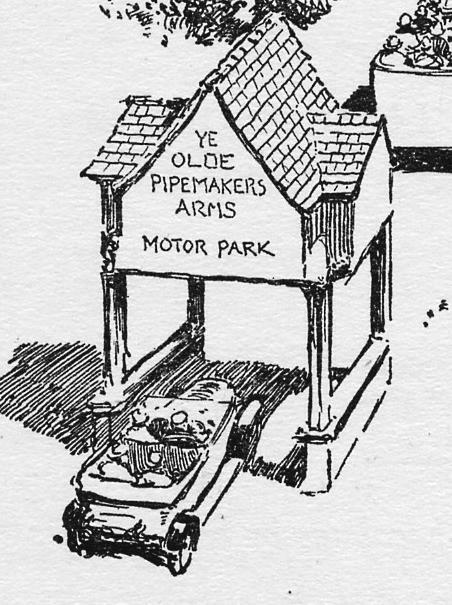 The Fish & Chip Shop on the roundabout was once the Gas Board Showrooms and head office for the Gas Works, whose huge gasometers stood proudly in their iron cages. Huge piles of coal and coke alongside the furnaces that burned the coal and extracted the gas fumes. 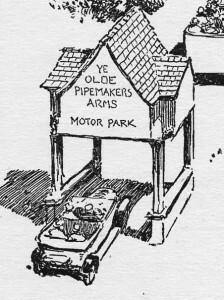 On the opposite side of the road an ornate, distinctive archway was perched over the drive to the Pipemakers Arms . Going towards South Undercliff Hinds Timber Yard, that imported timber from Germany and the Scandinavian countries, has gone, and been replaced by senior citizen’s flats. The little building, that stands on the corner of The Deals, has been enlarged and is now Rye Heritage Centre. The various stone and wood warehouses that once housed Stoneham’s Corn Stores on the Quay have been tidied up and converted to living accommodation above little shops. On the opposite side of the road, Colebrook’s fizzy drink establishment is gone, and a row of houses now fills the space. Little has changed in South Undercliff, but returning to the roundabout and turning left, Wish Street shows dramatic alteration. Houses now fill the yard of what once was a Stonemason’s with blocks of stone littering the verge. Opposite a Forge, which, in the capable culinary hands of Derick Bayntun, became the Old Forge Restaurant, selling the best steak in town. Alas it now stands empty. On the right of the entrance to Cyprus Place was the Corporation Depot where my father purchased drinking water to deliver to Winchelsea Beach prior to mains water becoming available in that area. Beyond Cyprus place is Longley’s (now Bannister’s) corner where Ferry Road has been changed from two way to one way traffic. 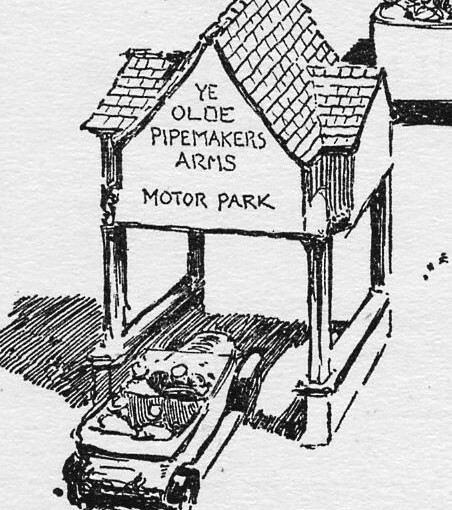 The Crown Inn and the old Fire Station buildings have not changed but taking the road right to enter the town and there is the huge Budgens/Jempsons superstore and car park. This area once contained the Goods Shed and Yard for the railway. Goods arriving in Rye were sorted in the good’s shed and distributed around the town by traders and the railway’s own transport. This consisted of a three wheeled tractor unit and an articulated trailer painted yellow. From the North side platform at the station there is now nothing to see but a car park. In 1948 a goods siding to unload and load cattle for the weekly Cattle Market was still busy. Sidings where coal trucks were weighed and unloaded into bags by hand. The Market has gone now, closed in the foot & mouth epidemic of ten years ago. It will never re-open. The Post office building on Station Road replaced the Ellis Builders establishment. In Cinque Ports Street western end, little has changed except the old milk yard has been built over and screened by a high brick wall. Going east on Cinque Ports Street, Central Garage has been demolished. The area has been boarded up like a ‘bomb site’ for many years. On the left the new Police Station, once the Cinque Ports Hotel, is only open for limited hours that are about to be further limited. Alongside lots of development has taken place with a row of shops on the old Regent Cinema site. Just before reaching Conduit Hill an ugly square wooden white building looms with an historic name over the street. Postern Gate was once the home of doctors, now a dance school. Davenport House, on the other side of Conduit Hill, is also new but from there little has changed in Rye. Shops change hands and sell different things but the buildings stay the same. Next month I will recall how the shops have changed. Coming into Rye via New Winchelsea Road, the first change is a large garage, that once perched on the right next to the Harbour Road, has gone and been replaced by a two tier row of flats. On the left, a scrap-yard that once occupied the ground around the Martello Tower has been replaced by more houses. Beyond the Harbour Road junction the railway lines, that led to Rye Harbour, with their red and white gates have been removed. Now, in this last year, Gasson’s old tin shed, where my trawler was built, is no longer. On the left, a piece of low ground that had just one bungalow on it, has been turned into a housing complex.